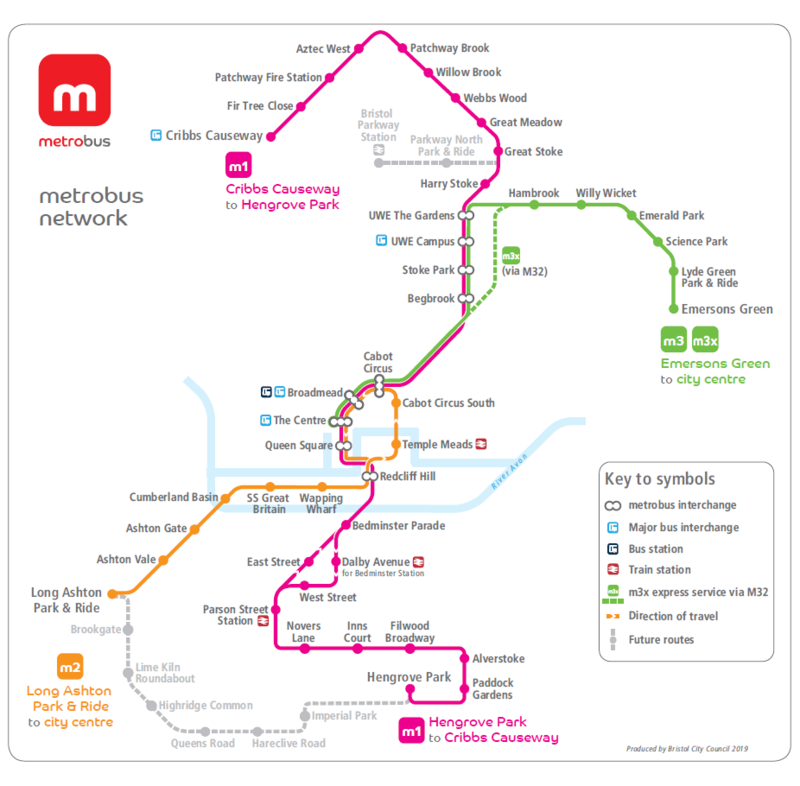 metrobus adopts ‘buy before you board‘ ticketing and limited stopping at key destinations for faster boarding and shorter journey times. Distinctive metrobus stops feature iPoints, which allow passengers to buy tickets, plan journeys and view live running information for onward services. Modern, environmentally-friendly vehicles, have free on-board WiFi and USB charging ports. Plus, an extra set of doors to make it easier to get on and off. The metrobus network currently consists of three services; the m1, m2 and m3, which serve many parts of Bristol. 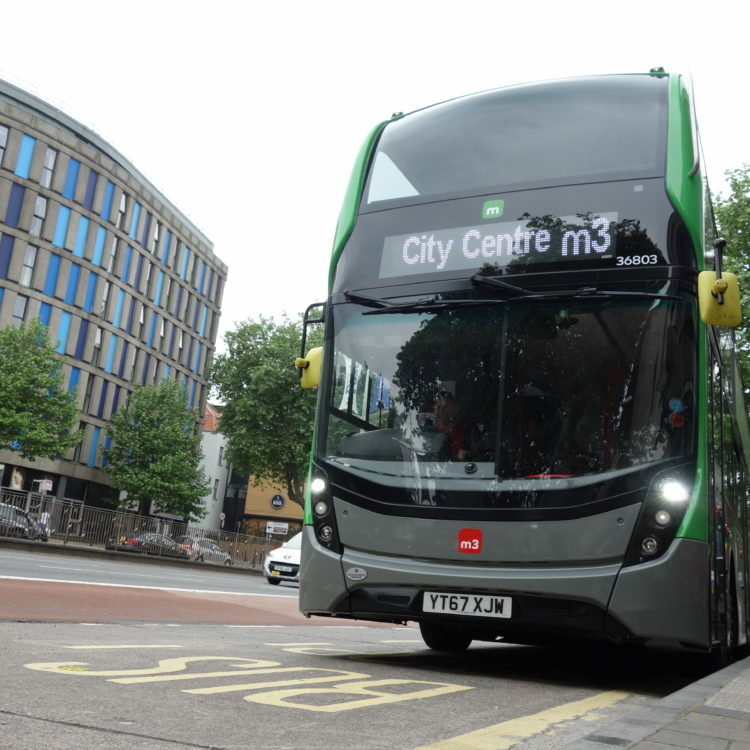 The m3x is an express commuter service based on the m3 route, which further reduces journey times. Click on the individual service number under ‘service information’ to view route and timetable information.